PENSACOLA, Fla. — Federal prosecutors have filed a motion to dismiss the remaining criminal charges against an imprisoned creation science evangelist after a jury deadlocked on the matter and was not convinced of his guilt. As previously reported, Kent Hovind, the founder of Creation Science Evangelism out of Pensacola, Florida, has been fighting charges of mail fraud and contempt for contesting liens against a number of properties that had been seized by the government several years ago. He has been incarcerated since 2007 over 58 federal counts, 45 of which centered on alleged “structuring,” a term that refers to breaking up one’s banking transactions into smaller amounts in order to avoid reporting. The original intent of the law had reportedly been to catch drug dealers and money launderers. 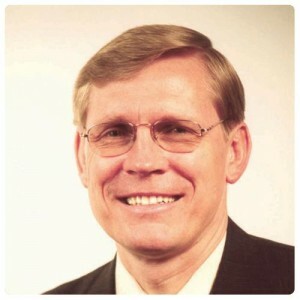 In regard to Hovind’s specific charges, the minister and his wife had made dozens of cash withdrawals of just over $9,000 each over a year’s time, and the government asserted that he was attempting to “obstruct and impede the due administration of the internal revenue laws.” However, Hovind said that he paid for his ministry expenses in cash—including compensation for those involved with Creation Science Evangelism—and was not seeking to evade any laws as anything over $10,000 was reported as required. In addition to structuring charges, Hovind was leveled with twelve counts of failing to pay payroll taxes. However, he stated that considered those who worked with the ministry to be independent contractors responsible for paying their own taxes and not employees. Hovind was not charged with tax evasion, but in 2004, his home was raided by IRS agents, and tax liens were placed against 10 properties relating to his biblical theme park. He filed three separate lawsuits against the government in an attempt to stop the proceedings, which he viewed as harassment, but was unsuccessful. In 2006, the case went to trial, and a jury convicted him on all 58 counts. His wife, Jo Delia, was convicted on 44 counts. In January 2007, he was sentenced to 10 years in prison, and remains incarcerated to this day. As Hovind has been seeking to contest the lien from behind bars, he was subsequently charged with two counts of mail fraud, one count of conspiracy to commit mail fraud and one count of contempt. Concerns were raised that he could spend life behind bars for mailing legal documents about the lein from jail. According to the Pensacola News Journal, years ago, Hovind had been prohibited under a court order not to contest the government’s lien on the properties. Because he did file papers, including a “lis pendens,” which warns potential buyers that the land is under dispute, he was charged with contempt. The mail fraud charges were for actually mailing the documents from prison. But in March, jurors deadlocked on all but the contempt charge as they could not come to an agreement over the mail fraud accusations. A re-trial was scheduled for Monday. However, attorneys for Hovind filed a motion to dismiss, and on Saturday, reports surfaced that federal prosecutors had likewise filed a motion to drop the remaining charges against Hovind without prejudice. The creation evangelist faces sentencing for the contempt charge on June 12. He was otherwise scheduled for release in August.